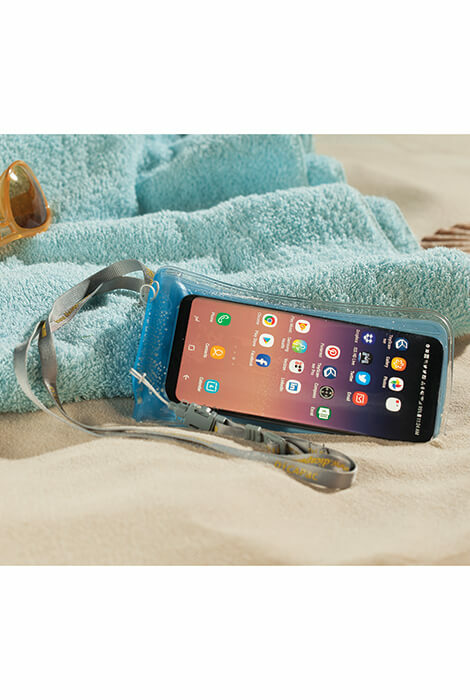 Fits most smartphones up to 5 11/16"
From pool photography to beach adventures, this DiCaPac® Waterproof Smartphone Case has your smartphone covered. 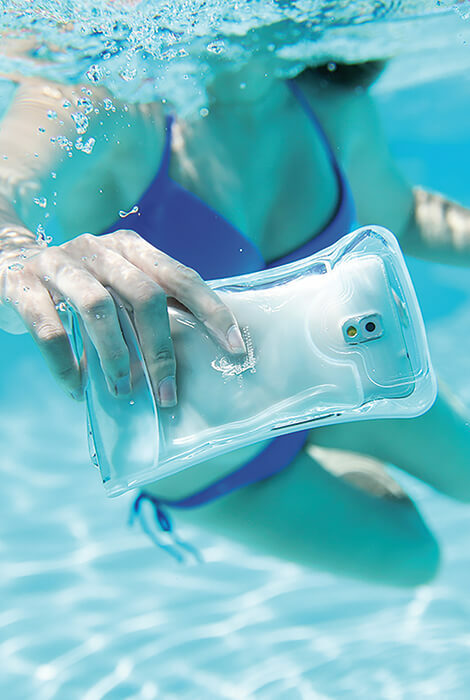 Clear, flexible case seals tight to keep out water and sand while allowing you to view your phone. 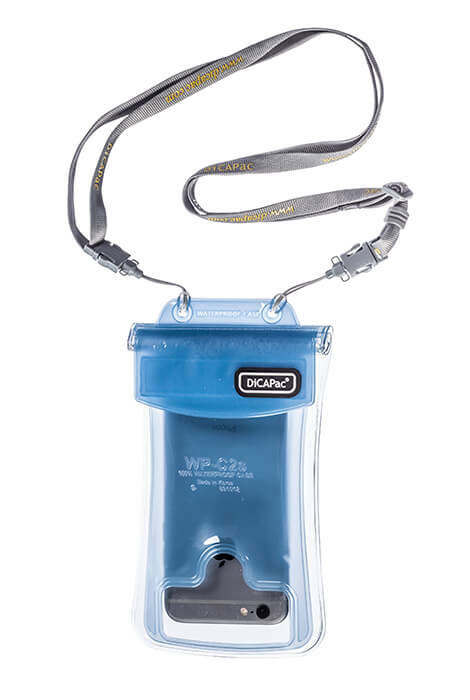 DiCaPac waterproof case is 100% waterproof to a depth of 10 meters so you can take underwater photos, and the air bladder helps it stay afloat if you drop it. 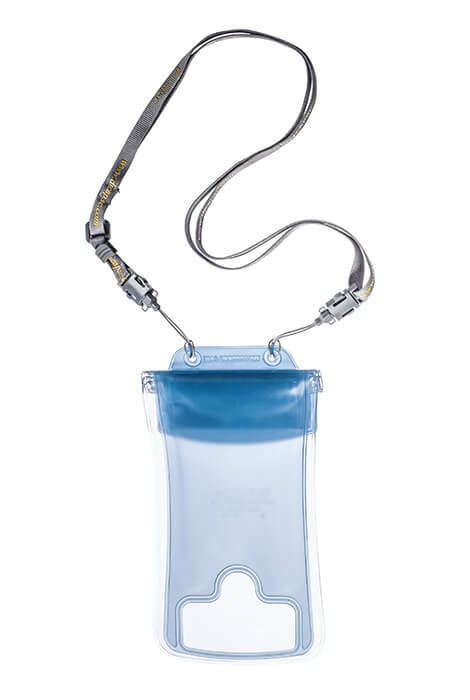 Fits most smartphones up to 5 11/16" and includes an adjustable neck strap and sealing instructions. 7" x 4".